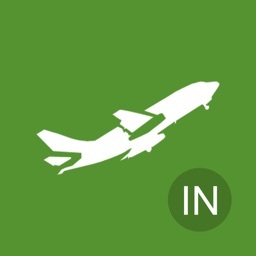 FLY DOMESTIC, FIND THE CHEAPEST FLIGHT! 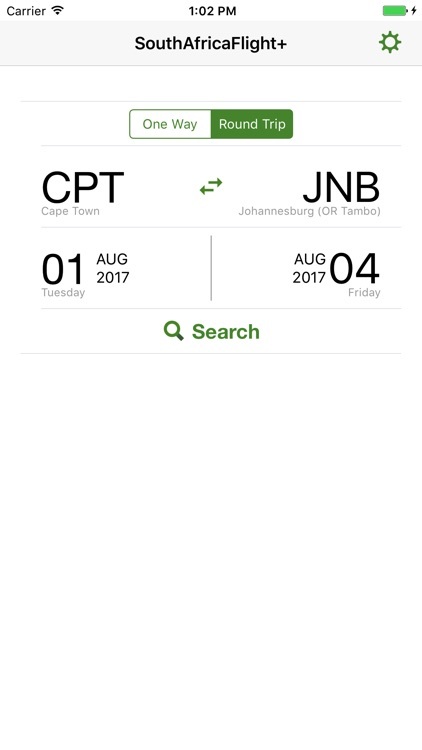 The real simplest DOMESTIC flight search application that you can compare price from major local airlines in South Africa, quickly and easily from your iPhone/iPad. 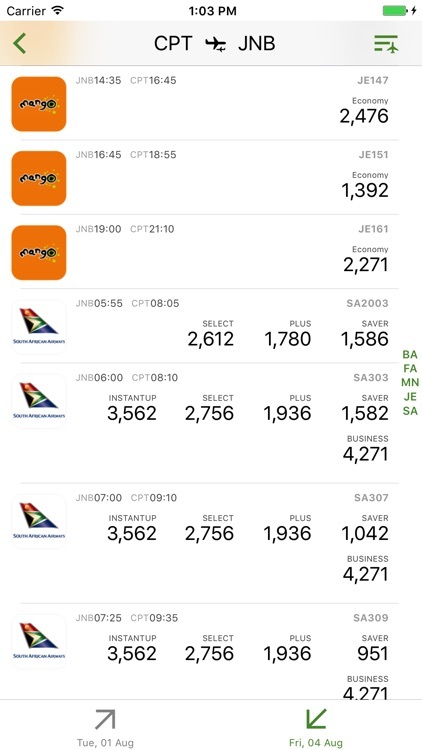 All available flights are provided in 3 categories; by price, departure time, and by airlines, to maximally facilitate your comparison. 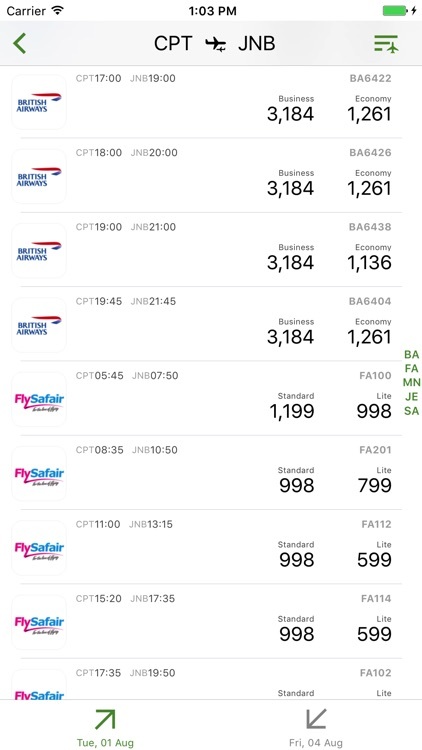 The results shown in the app are collected from each airlines website directly in every search you make. 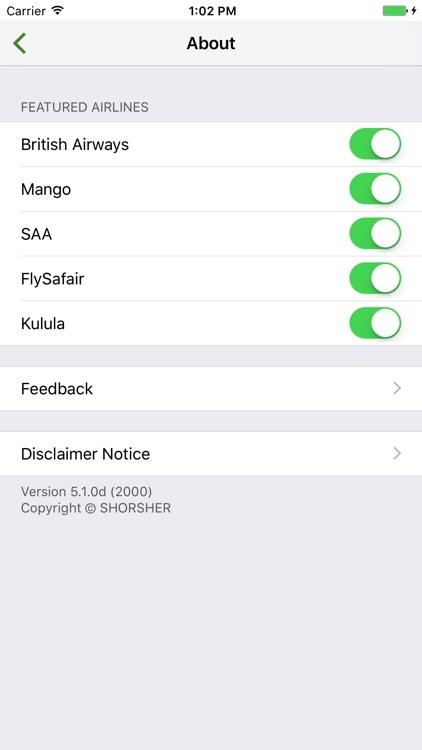 Therefore, price & flight information you can get from the app, is always REAL-TIME updated. The results you get from the app are real-time collected from each airlines website directly in every search you make, to get the most updated information. If the results in the official airlines website could not be provided due to its internal problems, then our app may not get completed results and there will be a pop-up reporting notice in the app. However, if there are significant changes in the searching systems in the airlines websites, we will provide an update ASAP. Please feel free to give us information or notify any bugs you notice from our About page in the app, so that we can get more details to solve the problem for you accordingly.